We have had a predictably unpredictable spring so far. It was really warm last month, forcing the trees to leaf out and bloom early. The unseasonable conditions also placed a “pseudo rush” on many to get their gardens in. We did plant many cold loving plants in our gardens, and so far to date, everything’s doing fine. But what do you do when you have tender veggies and flowers out too early? I have created a list of things we do when the weather turns to slush. Tomato plants snugly tucked in the greenhouse warmth. Utilize row covers. These are wonderful tools that can keep your plants up to 10 degrees warmer than ambient temperature. Before, we used old bed sheets, and they worked well too. Water before the frost. Water takes longer to cool down than air, so if you have moisture in the ground and on the foliage, you provide some insulation to protect your green investment. I don’t recommend watering the foliage any other time than the day before a predicted frost, as water can also harbor disease. otherwise, water the soil and keep it moist, but not saturated as saturation may cause heaving during a freeze. Mulching has so many benifits as far as keeping weeds at bay and preserving moisture. Did you know that mulch provides a great deal of protection against drastic changes in temperature too? Patience my friend, patience. I had many customers come in for annuals when the weather was so beautiful in March. I had lots of cold loving varieties to offer. When they asked about tomatoes, peppers, eggplant and the like, I told them to wait, or they will be sorry. It’s easy to want to get a head start on the season, but if you can’t provide adequate protection, you’ll end up spending more to replace what you lose. I’m more interested in the success of my clients than repeat business because they didn’t have the right information. Sure, I could use the extra income, but not in that way. 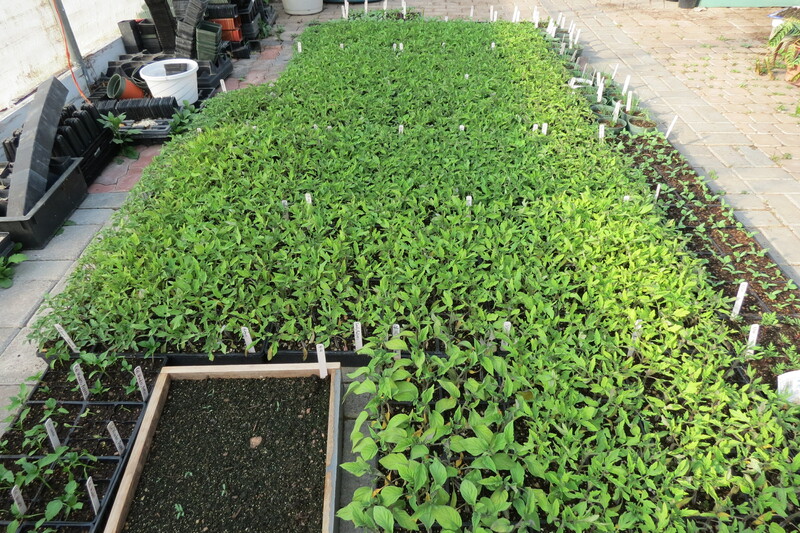 We had many plants in containers that we moved inside the greenhouse and cold frame. If you have a garage enclosed porch or basement, this could be another option. Container gardening is certainly taking off now. It is a great way to respond to the spring fever we get when it warms up a little early on. As more urban gardeners are trying their hand at growing food, I believe we’ll see this trend rise. Just make sure to bring it inside somewhere when it gets cold out. Stay warm this week and keep your little greens warm too! Hey, thanks for the like! It brightened my day.